Siena is one of Tuscany's best known destinations. Primarily recognised for its infamous Palio. The town has much more to offer and certainly ticks all the boxes for those looking for culture, excitement, gastronomy - in fact pretty much all the ingredients of a successful Italian sojourn. Our advice - do your research for the best places to stay in Siena - it should ensure a comfortable bed and hopefully one with a view. The centre of hilltop Siena is a bit like an open air museum of divine Gothic architecture. From the marvellous liquorice all-sort stripes of the Duomo to the soaring heights of the Torre del Mangia bell towner which overlooks the the wonderful arc of the Piazza del Campo. Climbing the Torre del Mangia is definitely an unmissable experience, there are 300 steps and only 25 people are allowed up at the same time. Below the tower is the City Hall, which contains the famous frescoes by Ambrogio Lorenzetti’s Allegories of Good and Bad Government amongst others. The Piazza is also bordered by the Piccolomini Palace, which is a classic example of Florentine architecture and now home to Siena’s archives. The Pinacoteca Nazionale has an extraordinary collection of Sienese art - important because of how it compares to contemporary Florence just 70kilometres away. The Museale Santa Maria della Scala is another must-see fine art museum. As well as incredible churches and museums and galleries this part of Siena is also populated with boutiques, pastry shops, cafes, gelaterias and restaurants. If you want to see the whole city, not just the museum area around the Piazza, then you’ll need to walk over the city’s three hills. It may be taxing, but will justifie the amount of gelato you’ll probably want to eat while visiting. Siena’s Il Palio, the colourful and borderline crazy horse race which is run through the centre of town on the 2nd of July and the 16th of August annually, has been a visitor attraction since it started in the 17th century. The contest is between Siena’s 11 contrade, or districts, and people are extremely loyal to their own, so it’s quite a dramatic and passionate event. It’s great to see, but does take place during the hottest part of the year. With such a lot on offer, this area is very popular so to secure a bed in one of the best places to stay in Siena be sure to book ahead. If a view of the town centre is a must on your list of requirements then the Campo Regio Relais is the hotel for you. This romantic and stylish hotel has some of the best in town. Settle yourself on the terrace with a glass of something local and peer wonderingly at the 14th century Duomo or simply over the rooftops of this beautiful town. The rooms here are individually decorated and if you feel like pushing the boat out, go for room number 5 - a luxurious treat with four poster bed, antique furniture and of course those spectacular views. 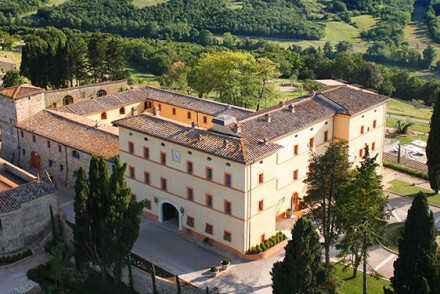 Certosa Maggiano is a stunning 17 room hotel converted from a former monastery with established vineyards. The individually decorated rooms were monk’s chambers, but they certainly don’t feel like that now, not with the large bathrooms and chic furnishings. The cuisine is outstanding, as are the views across Siena. Frances’ Lodge Relais is an intimate, serene hotel overlooking Siena with just six unique rooms and a secure garden rife with the floral scents of jasmine and lily of the valley. There’s also a pool. 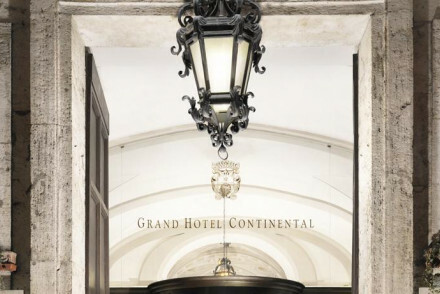 The Grand Hotel Continental is Siena's grand dame and indeed the only five star property in the area. It boasts sumptuous rooms, floor to ceiling frescoes and an unbeatable location just steps from the Piazza del Campo. Dripping with priceless antiques and marble galore, it is the epitome of classy luxury and provides attentive service to match. If you can drag yourself away from the elegant surroundings the staff will be happy to organise truffle hunting, hot air ballooning or whatever takes your fancy really! Located outside Siena, but in a beautiful spot with fantastic views of Siena and the surrounding hills, the Hotel Le Fontanelle is a five-star property surrounded by olive and lemon groves and vineyards. There are 25 beautifully decorated rooms and suites and fantastic dining and spa facilities. Frances’ Lodge Relais is an intimate, serene hotel overlooking Siena, with just six unique rooms and a secured garden rife with the floral scents of jasmine and lily of the valley. There’s also a pool. 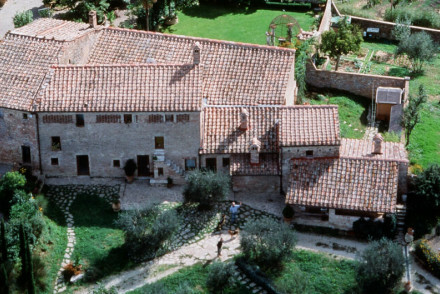 Campo Regio Relais also has six rooms and splendid views over Siena - you’re closer this time. The decor is elegant and spacious and each room has been individually decorated with antiques and parquet floors and four-poster beds. Breakfast is served on a beautiful terrace. 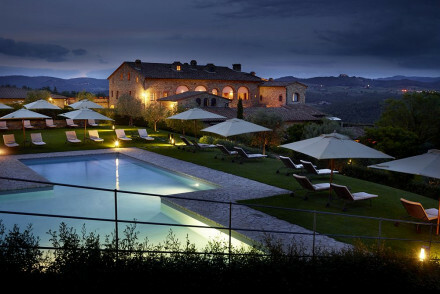 Borgo Scopeto Relais is a chic hotel overlooking Siena. There are 58 large rooms and suites, decorated with transitional materials, plus a lovely garden filled with olives and oak trees. There are two pool, tennis courts and a great Tuscan restaurant. There’s also a plethora of activities and Vespa rental onsite. Owned and run by the same family since the 1920s the Palazzo Ravizza is a pensione located just outside the historic centre of town. Its thirty bedrooms ooze old world charm and elegance - think tiled floors, wooden beams and arched ceilings. Another plus for an Italian hill top town is the free and secure parking - a bit of a rarity these days. There is no restaurant, but with so much choice a short walk away, who cares! Pisa Airport is Tuscany’s largest, and the most convenient for Siena. It’s well served by both the low-cost carriers and the big international airlines. From there you can take the train to Siena. If you want to hire a car - which we highly recommend if you’re staying in Siena and want to see more of Tuscany - we recommend you visit our online partner Rentalcars. Siena isn’t as busy as Florence, but up here on the top of the hill it really bakes during summer, and so, despite that fact that this is one of the most popular times of year to visit, it’s definitely not the best. Autumn, which is quieter, and cooler in a balmy sense, is a great time as there’s some great food in season as well. Although Il Palio dose happen in the summer. Or the best hotels in rural Tuscany? 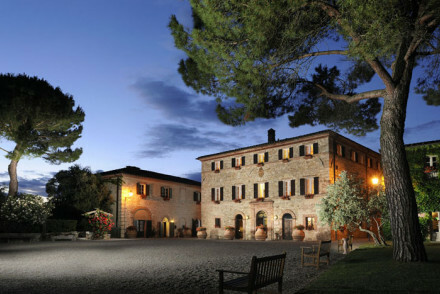 Or our Guru’s recommendations for great wine hotels in Tuscany? 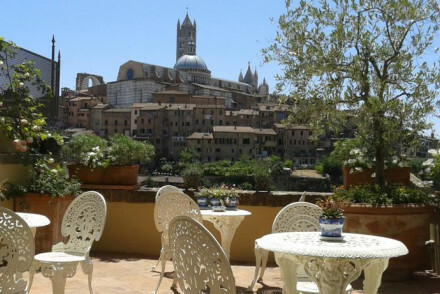 Romantic, stylish hotel furnished with antiques and enjoying splendid views over Siena. Elegant and spacious individually decorated bedrooms with parquet floors, four poster beds, antique furniture and beautiful fabrics. Lovely breakfast terrace. A romantic spot from which to explore Siena. Sights nearby - Conveniently located for the Piazza del Campo, one of Europe's most beautiful and architecturally interesting squares. Great walks - Wander around the streets of the Medieval town and absorb the architecture and beauty. Family-run, quiet, and elegant. hotel with stunning views and classic interiors has a history of its own. Old-world elegance - tiled floors, wooden beam, arched ceilings, some with fireplaces - make up the rooms. Manicured garden showcases a fantastic valley view - a romantic spot. 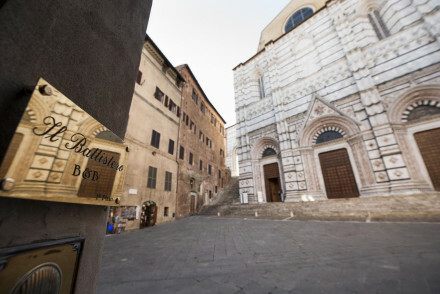 Sights nearby - Located in the historic centre of Siena close to the cathedral. Great walks - The Tuscan countryside is beautiful, serene and calm. 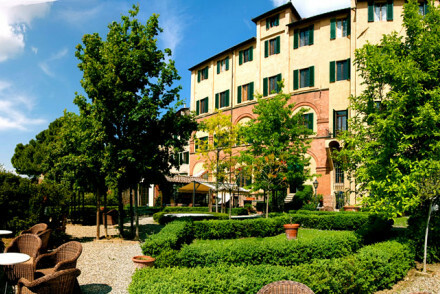 Elegant and luxurious, Il Battistero is superb hotel in the heart of Siena. Combining delightful rooms with a magnificent location, this hotel is a great base from which to explore the charms and wonders of Siena. Local markets - Explore the bustling street markets of Siena. Sights nearby - A stone's throw from Siena Cathedral. 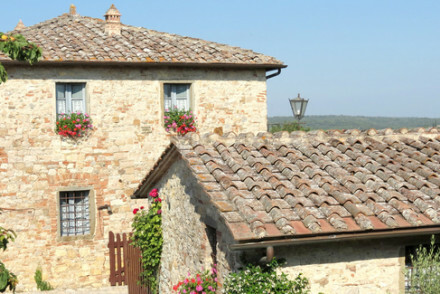 A charming borgo not far from Siena and with views over rolling countryside and vineyards. A selection of rooms, suites, and three self-catering houses (sleep 5 max), all in rustic style with plenty of character. Fabulous table d'hote, cooking lessons, swimming pool, and shady terraces. Families - The three cottages are perfect for families or groups of friends. (sleep 2-3, and 4-5). Views - Stunning views over vineyards and hillsides. Sights nearby - Siena is not far away. 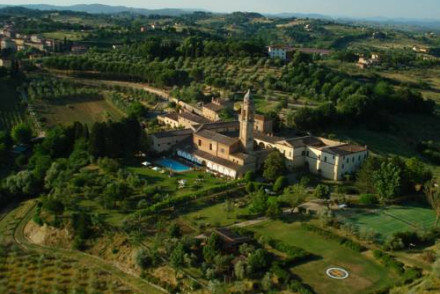 An intimate and serene hotel overlooking Siena. Unique rooms in the Limonaia, or Lemon House, with traditional textiles, large bathrooms and views. Secret garden featuring jasmine, lily of the valley and outdoor pool. Siena and other sights close by. Perfect for a laid-back weekend. A chic hotel overlooking Siena. Large rooms and suites blend contemporary style with traditional materials. Lovely views from the garden filled with olive and oak trees. 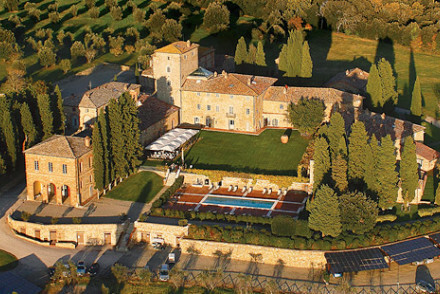 Great traditional Tuscan cuisine, spa, 2 pools and tennis courts. Perfect for a weekend of relaxation and exploring. A concoction of grandeur, elegance and luxury. Sumptuous rooms include stunning floor to ceiling frescoes, terracotta floors, period furniture and artworks. The restaurant is elegant and Tuscany is on your doorstep: a perfect romantic getaway. Great walks - Explore the Orto Botanico dell'Università di Siena - bontanical gardens kept by the University of Siena. Sights nearby - Steps away from Piazza del Campo and the Duomo. A stunning hotel set in a former monastery amongst vineyards. Bespoke rooms are former monks chambers, with chic furnishings and large bathrooms. Games and cigar room, library, garden and pool to enjoy. Outstanding Italian cuisine and views across Siena. A luxurious and relaxed weekend for couples. Sights nearby - Siena, Chianti, San Gimignano, Volterra, Firenze, Pienza, Montalcino or Montepulciano. A stunning country house surrounded by its own vines and parkland. A hilltop position with fantastic valley views. Sumptuous elegant rooms and suites with lots of space and big bath tubs. Fantastic Mediterranean restaurant, billiards, tennis, wine tasting, swimming pool, and views for miles. Wow! Good wine list - Excellent choice from the hotel's own vintages. Wine tasting - The hotel is surrounded by its own vineyards. Foodies - Fantastic Mediterranean cuisine. A wonderful Five Star property surrounded by olive groves, lemon trees and vineyards. Homely accommodation spread through a hamlet-style setting. Each room and suite is beautifully decorated, some with private balconies and views. Fantastic restaurant and spa facilities. Intimate - The hotel is built as a hamlet so that accommodations are homely rather than hotel-like. Outstanding location - Stunning; surrouned by vineyards, rolling hills, and lemon groves. 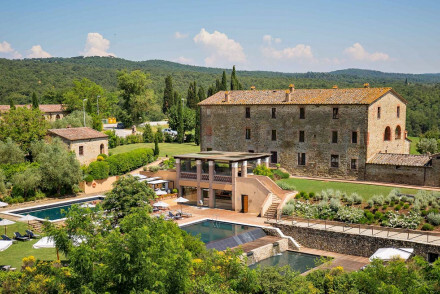 Castel Monastero is a magnificently restored 11th century hamlet turned exclusive hotel and spa, in the peaceful Tuscan hills. Elegant rooms and suites, pool, wellness centre and two restaurants provide the ultimate in luxury relaxation.